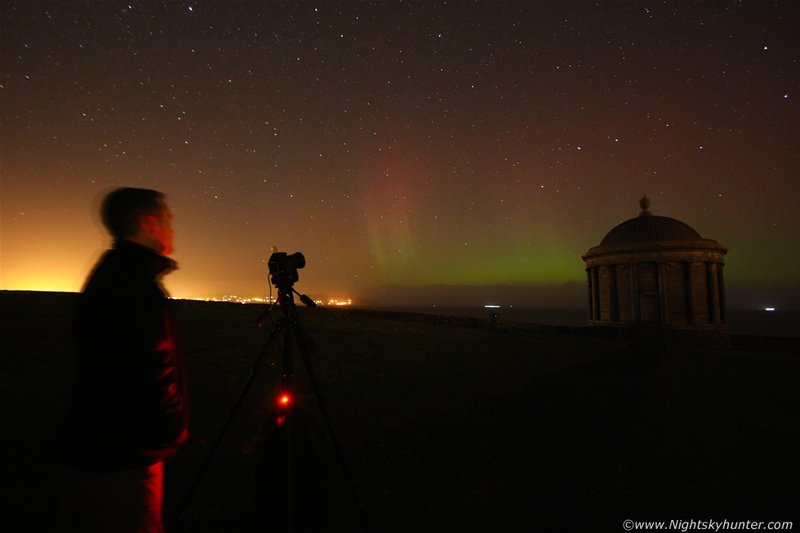 Halloween Eve 2013 at the north coast of N. Ireland catching a magnificent aurora outburst over Mussenden Temple with my friend Paul Martin in the scene looking on as wonderful beams of light put on a show across the NW. At first they reminded me of the famous rendition of the synchronic bands in the seven tailed great comet of 1744 rising over the E horizon before dawn then with Halloween in mind Paul said they looked like Freddy Krueger's fingers (from A Nightmare On Elm Street for those who don't know) which gave us a laugh, indeed the fine beams looked like blades or knives slicing through the sky which was brilliant to watch, read the report for more information. * All images are available for sale in the form of photo prints, canvas or digital files for licensing, if you are interested in a purchase simply drop me an email.